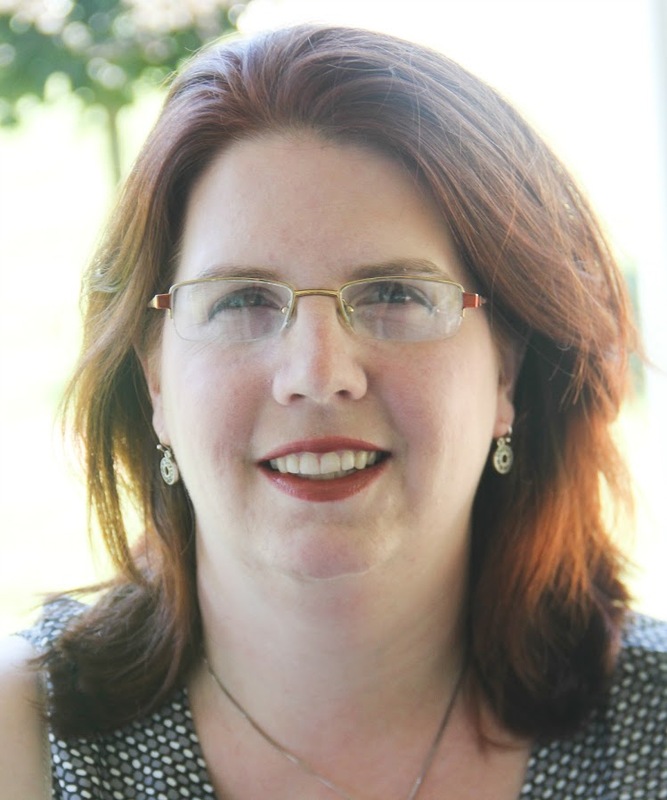 Talking Fingers, Inc. was founded in 1982 by neuropsychologist Dr. Jeannine Herron. Their philosophy is simple: text is speech made visible! Mouths make the sounds of speech, while written language is how we represent those sounds on paper. When children learn to link speech sounds with letters, they can use the alphabet to write any word they can say. Instead of using a pencil to write, Read, Write, & Type software lets your fingers "talk" with a keyboard. With this research-based program, speech sounds are linked to a letter, and then to finger stroke on the keyboard. With each of the forty lessons, users pronounce, segment, type and spell hundreds of words. Read, Write, & Type's primary market is students ages 6 to 9 who are learning to read. For being what seems on the surface to be "just" a typing course, by seeing letters and words, hearing their sounds, speaking the words, and touch-typing, the program provides a multi-sensory experience for students to learn with. 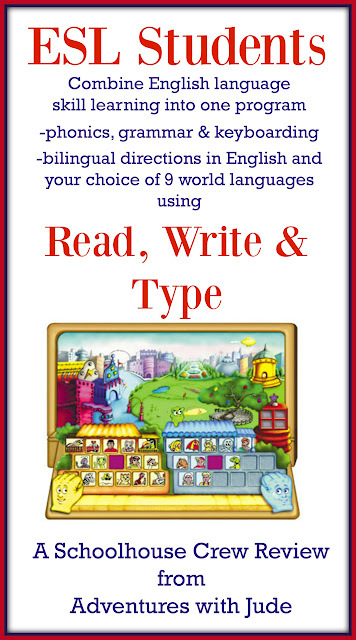 Beginning with letters/phonemes and combining high-frequency/high-ease sounds with simpler dexterity demands, it teaches reading and writing from a unique perspective. Rather than doing all of the "home" keys, and then the easy-to-reach keys, it dives in to useful keys. Typing is often easier for younger students, even if they've never been exposed to keyboarding, because they haven’t yet formed the “hunt and peck” habits. Luke definitely found this to be true; though he was exposed to typing classes in the past, they never really "stuck" because he had the "two-finger" approach already ingrained. I've noticed that his full-hand typing has become much smoother with all of the practice that Read, Write, & Type has given him. It took him about two weeks of daily practice to relax into it; when first starting out and learning a few letters at a time, it was hard to be patient and not just revert back to his old habits. Now that he's typing words and sentences, things have smoothed out a bit. I think that if you're an ESL student coming from a Latin alphabet language, it might be a little tougher because you may have some typing habits to break. 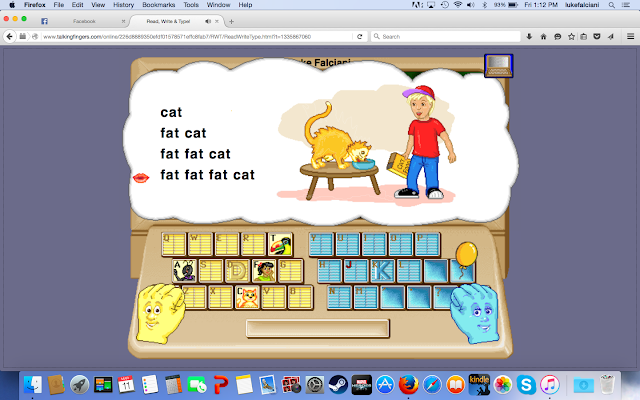 However, if the student is used to typing using either a foreign keyboard or overlay, it may be an experience closer to a complete novice because he will be learning the sounds and the letter placement just like a younger child. When using the program features for ESL students, the instructions are given first in the "native" language (in Luke's case, Spanish). Luke was concerned that he might have a difficult time because he's not a native Spanish speaker. Using these standards as a guideline, he's probably a high-intermediate student. Directions for the program were given first in Spanish, followed by English. Since the English part program is geared toward younger students, the Spanish-speaking directions were reasonably simple and he understood them well, even before the English version came through. The translations were very good, including some pragmatic idioms in both languages, rather than literal translations. The words/sentences typed were completely in English. He thought this was almost a "best of both worlds" situation -- immersion in language for reading/typing, but with directions that would be understood the a native language. The directions were also spoken at a relatively slow speed in both languages. He said, "It wasn't 'you're an idiot who doesn't understand slow,' but more like how you'd give directions to Jude and Damien in a clearer and slower voice than if you were talking to me." As students progress, they earn certificates to reward their progress. Even Luke was tickled to screenshot his first awards. He liked the near-instant feedback of how he was doing. After 4 lessons, he would receive a certificate of completion. 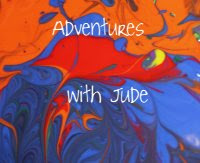 The program is designed to cater to younger students' attention spans -- each lesson took him 10-15 minutes to complete. At first, he'd work until he got a certificate at the end of each day - it was a mini-challenge for him that really did help his typing skills. Once he learned to several individual letters, it moved into more progressive combinations of phonemes and eventually into complete sentences. Pictures helped provide visual cues for translating -- it might be difficult to translate "gato gordo" to "fat cat" with just words, but this corpulent kitty helped reinforce the idea of "fat" and "cat". Luke's one complaint was that the story was definitely geared to younger students, and would not recommend this for students above middle elementary school. Once the novelty wore off, it was harder for to maintain interest in the program. He was torn between "Yes, I'm really learning something," and "This is frustratingly little-kid." Prior to joining the review, Damien (almost 6) tried the program and loved the story, so it's definitely engaging and motivating for his age range! It's pretty slow at first. It works letter by letter, dipthong and sound by....well you get the idea. Stories make it a more natural learning style, so it is not overwhelming from the start. There is a lot of repetition that bored me, but if I apply how I learned Spanish by practice, practice, practice, I do understand how that but that helps drive the ideas home for beginners. I liked that parents and students had indvidual log-ins. They do share a landing page, but once logged in, the system knows where to direct the user. While we used the program with a single student, you can have multiple students registered. I thought the parent's page was tricky to navigate at first, so don't try to set this up when you have kiddos hovering at your elbows. I gave Luke full access to the program, knowing that he tends to work at odd hours, but you can limit days and times that a student may work. Reports showed not just the overall average for the section, but also individual phonics, reading, and spelling scores. 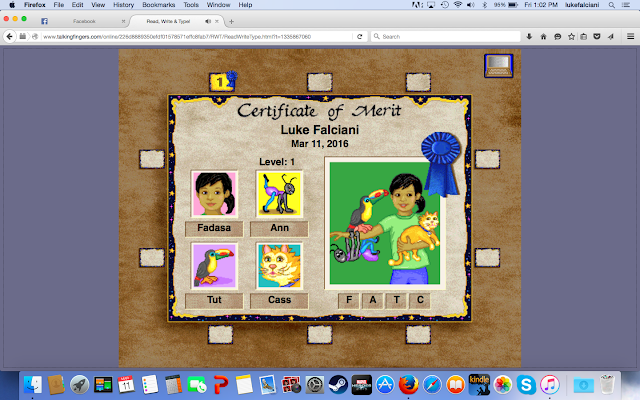 Between being able to set the threshold for what I considered a passing grade (for Luke, 90%) and the ability to see where a student might be weaker, this program is able to help identify how well the student understands what he is typing, as opposed to him being able to just tap out a string of letters. Overall, we liked Read, Write, & Type for teaching young students - both native English speakers and ESL students - to read and type. 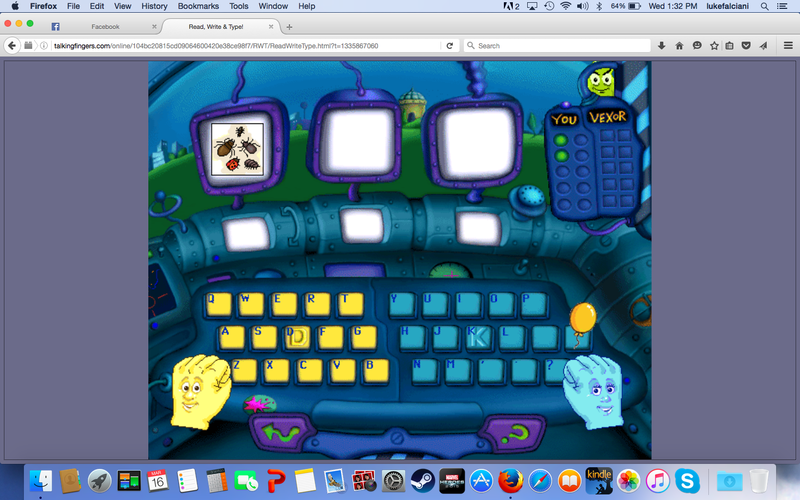 It provided a strong typing program that reinforced English phonics and phonemic reading. As a program for ESL students, it provided clear directions in both the native language (Spanish, in our case) and English. It provided clear instruction in both pronunciation and pragmatics, as well as keyboarding skills. An ESL student definitely won't be FLUENT in English by the end of this program, but will likely be pretty good at phonemic decoding. Due to its storyline, we'd recommend it for students up to about 5th or 6th grade. For more about the program for ESL students and native English speakers, follow Talking Fingers on Social Media, or click the banner to read other reviews.